Cherry Hill, the stately mansion overlooking the Hudson River near Albany, New York, was already forty years old in 1827 when it sheltered a vibrant household of 17 people. They were aristocrats mostly, scions of the Van Rensselaer and Lansing families. And there was John Whipple, the young upstart who had married Elsie Lansing, the erratic niece of Catherine Van Rensselaer. At least five servants, including itinerant workman, Jesse Strang, were living in the basement rooms. Domestic tranquility at Cherry Hill would be disrupted forever when Elsie and Jesse failed to observe the distinction between upstairs and downstairs. 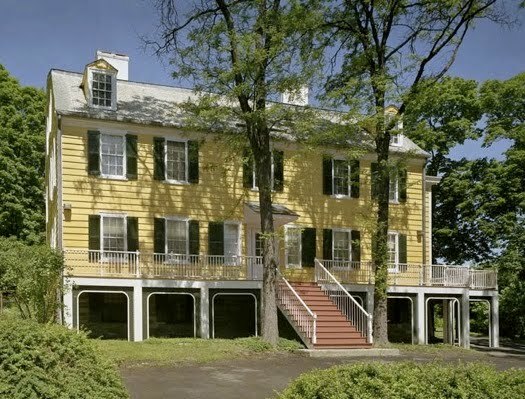 Cherry Hill was built in 1787 for Philip Van Rensselaer who made his fortune as merchant and a farmer. He died in 1798 but in 1826 his wife Maria was still living there. She occupied the north side of the house and their son, Philip P. Van Rensselaer occupied the south side with his wife Catherine and four of their seven children. The southwest bedroom was rented to John and Elsie Whipple and their son. Elsie was the daughter of Abraham Lansing, Catherine’s deceased brother. Elsie Whipple had a reputation for being hysterical and undisciplined. Her father had died when she was very young and Elsie was raised and pampered by a mother and grandmother who had the same characteristics. At age 14 she eloped with John Whipple who lived next door. He was nine years her senior. Elsie’s grandfather, Captain Abraham Lansing, was livid. He had given her father money and property that had now passed to Elsie and would be controlled by John Whipple. Captain Lansing viewed Whipple as a fortune hunter and went to court trying to get his gifts back but lost the suit. Lansing died before there was any reconciliation but the rest of the family eventually warmed to John Whipple; he was a shrewd businessman and grew his wife’s inheritance into a small fortune. 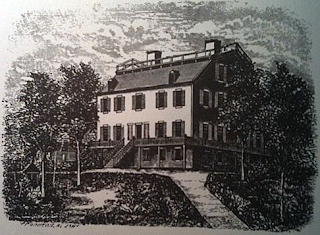 Living in one of the basement rooms of Cherry Hill was a workman who went by the name of Joseph Orton—called “Doctor” by the rest of the household because he wore glasses and knew how to read and write. He did farm work, chopped wood, tended the stable and made general repairs to the house. His real name was Jesse Strang and he had a wife and four children in Fishkill, New York which he deserted 1825. 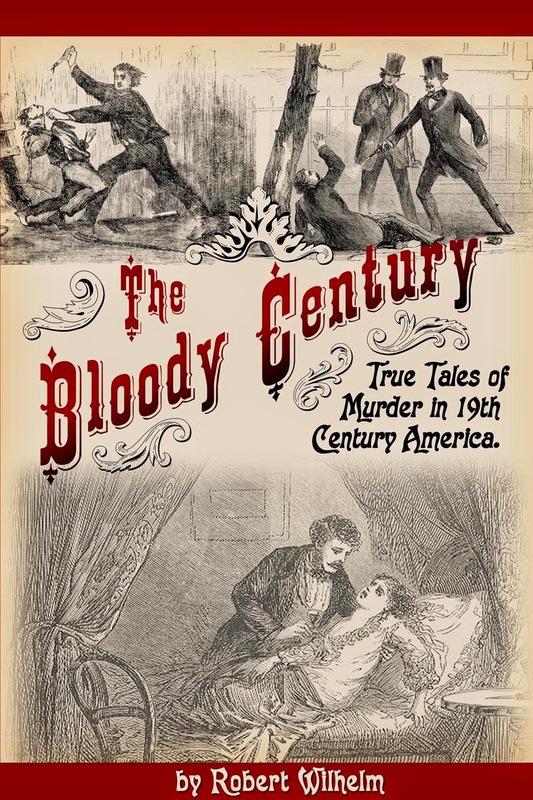 He moved to Sandusky, Ohio then in the spring of 1826 to Western New York where Jesse Strang faked his own death and became Joseph Orton. Strang first saw Elsie Whipple when he was working at a tavern near Albany owned by Otis Bates. She came into the tavern with Philip P. Van Rensselaer’s daughter Maria. The girls got a little bit rowdy and Elsie, who Sprang described as “sprightly, playful and giddy” caught his eye. That night he commented to Bates’s son that he would like to sleep with her. I have seriesly considered on it as you requested of me yesterday and I have concluded two compose a few lines two You and I thought that it was not my duty two right very freely not nowing Your object perhaps it is two get sum of my righting two show two your husband as you ar a marid woman, and If that is your intenshin It is my whish fore you two let me know it fore it is a thing that I skorn two make a disturbance between you and your husband but If on the outher hand It is out of pure offections I should be quite hapy for two have the information in your hand riting and I hope that you will not tak any offen in my manner of riting two you as we ar pirfict strangers two each other, but hop that those few lines may find free exceptan with you and after I find out your motive I can right mour freely on the subject and as for my offections thay are quite favorable I shall expact an answer from you If that is you motive, sow I remain your well whisher, Joseph Orton. In their correspondence Elsie expressed her willingness to flee with Strang. He was agreeable to this but said they would need $1200 to get established somewhere else. Elsie had a fortune worth much more than $1200 but by the laws of the time it all belonged to her husband; she could not touch any of it while he was alive. Strang and Elsie decided they could live together only on John Whipple's death and they were determined to make that happen.. They made a pledge that neither would inform on the other, and if one were caught, the other would confess and they would hang together. In the spring of 1827 they began to take action. First they tried poison—Sprang bought some arsenic in Albany and Elsie put it in a tonic that her husband took every day. She did not give him enough and though it gave him stomach cramps, the poison did not kill him. Next they thought of using a hit man. Strang believed he could hire a man in Montreal for $300, but they did not have the money. Finally they decided that Strang would have to shoot Whipple himself. Elsie suggested he use one of her husband’s dueling pistols but Strang preferred rifles and bought a $25 flintlock. They spread rumors that some men out to kill Whipple over a business matter. Sprang said he had seen strange men lurking around the house. He and Elsie tested the rifle to see how much kick it had and whether it would be accurate when fired through glass. They planned to shoot through the window of the Whipple’s room. The evening of May 7, 1827, Jesse Strang took of his coat and boots and climbed, with the rifle, onto the shed attached the back of Cherry Hill. Standing in the dark he could see into the Whipple’s window without being seen himself. 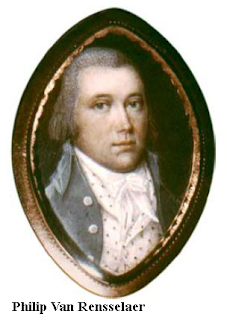 John Whipple was in the room talking with Phillip Van Rensselaer’s son Abraham. Whipple stood up with his back to the window and Strang fired the rifle hitting Whipple under his left arm. was sent into town to fetch the coroner. When he returned he was sworn in as a member of the coroner’s jury. The next morning the jury convened and, though a member of the jury, Strang also gave testimony. He spoke vehemently about prowlers he had seen outside the night before. But Strang had overplayed his hand and his zeal to place the blame on the prowlers made the coroner suspicious. The following afternoon Strang was arrested for murder. Two weeks later Elsie Whipple was arrested as well. Strang’s trial generated intense excitement. It had to be held in the Assembly Chamber of the State Capital because no other building was large enough for the crowd. Even then, the streets outside the chamber were packed with people who could not get in. Members of the household testified that they had heard Strang spread the stories of prowlers out to kill Whipple. The merchants who sold him the rifle and the arsenic testified as did hotel keepers who had seen Strang and Elsie together. But it was Sprang’s confessions, admitted over the objection of the defense, which sealed his fate. The jury deliberated for fifteen minutes before returning a verdict of guilty. Elsie’s trial followed the same course as Strang’s except the prosecution tried to call Strang as a witness. There was much debate over his eligibility to testify because he had been convicted but not yet sentenced. In the end the judge would not allow his testimony. The prosecution rested, and the jury, without leaving their seats, acquitted Elsie Whipple. The Albany Establishment had closed ranks to save one of their own from a public hanging. Elsie Whipple - Not guilty. Between 30,000 and 40,000 people turned out August 24, 1827 to witness the hanging of Jesse Strang. In the crowd were hucksters selling a pamphlet entitled The Confession of Jesse Strang Made to C. Pepper, Esq. 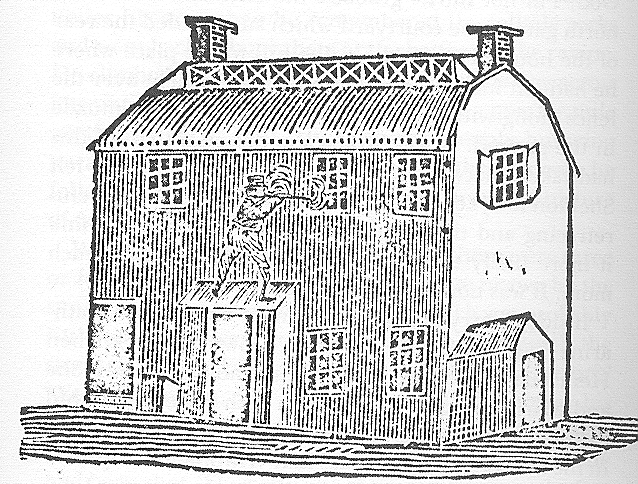 On the scaffold, holding a copy of the confession, Jesse Strang advertised the pamphlet saying:. The hanging was botched— the fall did not break Strang’s neck and he swung for half an hour before suffocating. It was the last public hanging in Albany. Elsie married Nathanial Freeman in New Brunswick, New Jersey and on his death she moved to Onondaga, New York where she died in 1832. Cherry Hill is still standing; it is fully restored and open to the public. It’s claimed that the house is haunted, but whether the ghost is John Whipple or Jesse Strang is an ongoing debate. 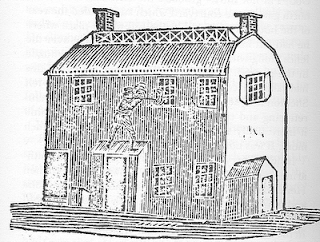 Jones, Louis C. Murder at Cherry Hill: The Strang-Whipple Case, 1827 . Albany, N.Y.: Historic Cherry Hill, 1982. Hamblin, P.R. United States Criminal History: Being a True Account of the Most Horrid Murders, Piracies, High-Way Robberies, &c.,/ Together with the Lives, Trials, Confessions ... Records of the Countries by P. R. Ha . Fayetteville: Mason & DePuy Printers, 1836. Trial of Jesse Strang for the murder of John Whipple. Albany, NY: D. M'Glashan, 1827. Thank you for writing and sharing these stories! I love reading them! Very good job! Thanks Judy, I love the feedback! I'm never disappointed each time I visit here. Thanks for all the research and information you provide. Curious - why does the Rankin family feature so prominently in the history of Cherry Hill when the Van Rensselaer and Lansing familes were the original owners? Catherine Bogart Putnam, known to her family as Kitty, was a great granddaughter of Nicholas Van Rensselaer and was sent to live at Cherry Hill as a three year old girl, after her mother died in 1860. She never left Cherry Hill. Kitty was raised there by her mother's favorite cousin - Harriet Van Rensselaer Elmendorf - who she called "Aunt Hat." In 1884, the same year that Kitty Putnam married Edward Rankin of Albany, her Aunt Hat was forced to sell Cherry Hill and its contents at a public auction. She had been having financial troubles since her husband (Dr. Elmendorf) passed away, but luckily the home's new owners allowed Kitty Putnam Rankin and her husband to rent the house back from them. Just as soon as they could afford it (in about 1896), the Rankins purchased the house back. Over the years they also tried to buy back as much of the family's original possessions as possible. Keeping the property intact was Kitty Rankins life work. Kitty's daughter, Emily Rankin, always loved the place as her mother had, and her last bequest (she died in 1963) allowed the house and the thousands of objects contained within to become Historic Cherry Hill Museum. I am interested in learning more about Strang's ancestors. I was wondering tho, in almost all those inset boxes in each article...like in this article the ones with the lovers letters in them....there's nothing. There! It's soooooo beyond distressing to know I could be seeing the love letters but instead see an empty box. 😓😮 do you have any idea why this happening? It seems anything added to the article by way of newspaper articles or other things from the time won't show up, only what you've written,.....thanks for any help! Driving me insane missing all the major clues and parts of the stories. HearthCricket, I don't know what would cause this, but it might be your browser or browser settings. It displays correctly in Chrome and Edge with default settings. I am also having the problem of blank boxes. I have found that highlighting them (as though you're going to copy and paste) brings up the writing!